You must have read that Arm party post I posted yesterday! 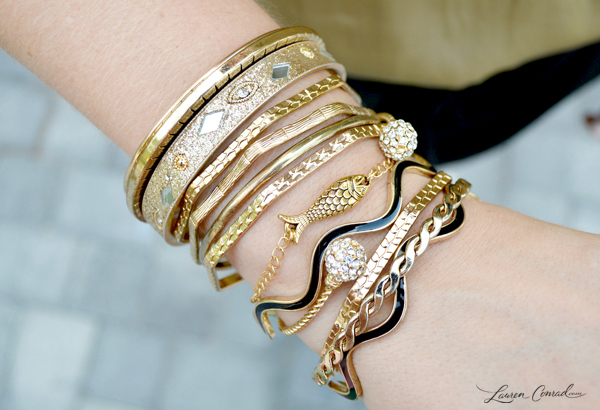 As promised here is the Tips for working up an arm party using simple bracelets and bangles. I found it on Lauren Conrad's blog! One of the easiest rules for first time arm party participants is to start with the largest bracelet first and taper down by size. Dainty beaded or chain pieces usually work best when placed closest to your hands. Once you’re confident with your stacking skills, you can switch up the size order depending on what looks best. A mixed media wrap bracelet is always an easy way to cheat the system and make it look like you put more work into your arm party than you really did. Get creative by wrapping several contrasting necklaces around your wrist, like I did above. If you’re not confident mixing materials, like a wooden bangle with a lucite bangle, opt for a harmony of colors like my monochromatic mix above. This visually friendly rule will provide a nice safety net when mixing and matching. Choosing a theme is an effective way to exhibit cohesion. 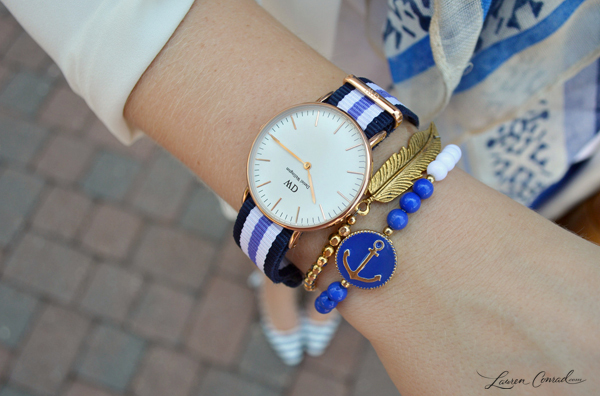 Above, I went with a nautical theme for summer. For fall, try rocking an animal or tribal themed stack with a leopard cuff and elephant charm as accents. If you’re a watch lover, you’re in luck. 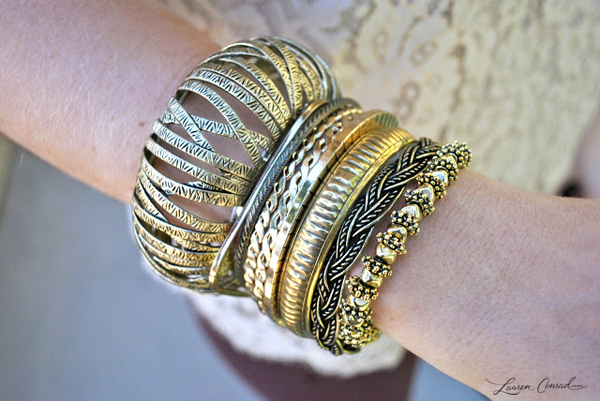 This stylish and useful accessory makes for the perfect focal point for an intimate arm party.